Long overdue trip to Israel 2. 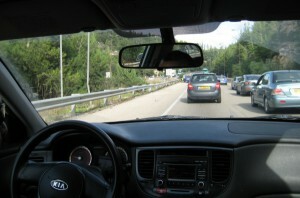 Instead, I get a taxi (and get ripped off, but what the hey, it least I was on my way. 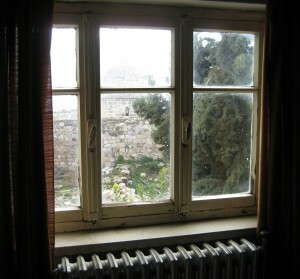 As we get near to Jerusalem, my driver calls my hotel to get exact directions. There’s some confusion and frowning. He says, that on the Arab side, why are you going there in an accusatory tone. Then he pauses and asks where I’m from. Then he smiles, realising I’m not Jewish and says “no problem, tourist, Jew like, Arab like”. We drive down the street near my hotel and a group of youths is congregating on the corner. As I pay him the money (and he overcharges me) he tells me to keep the money out of site. They are dishonest he explains, with no hint of irony. 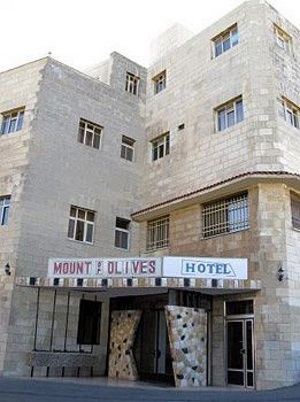 The Mount Olives hotel is, well, on Mount Olive. 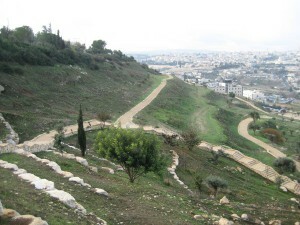 As I look down the hill to the old town Jerusalem, I start to realise just how small the place is. The people are friendly, but they have a guarded manner to them. Most of the Arabs I meet while there are like this, and I get used to it after a time. 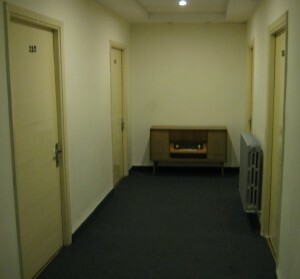 Inside, its clean and tidy, but like something from the 50’s. But the amazing thing about it, is its practically on top of the church of ascension. This is the place where many believe Jesus ascended to heaven 40 days after his resurection. I can see it 30 feet from my bedroom window !. 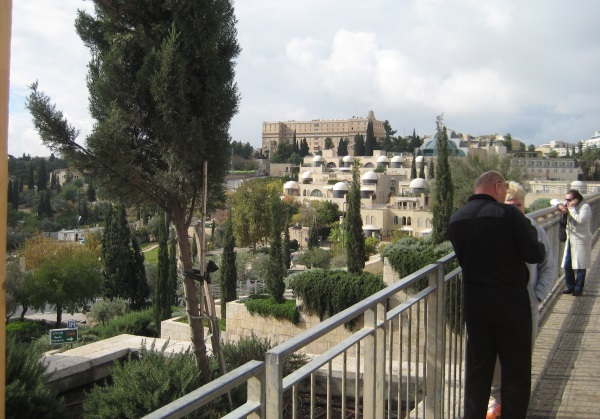 Wandering down the hill near the Garden of Gethsemane. Outer wall of old Jerusalem. 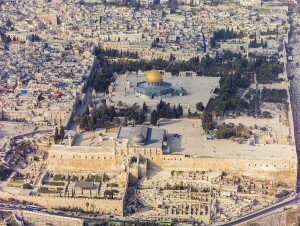 I’ve included this aerial photo of Jerusalem to give some background. 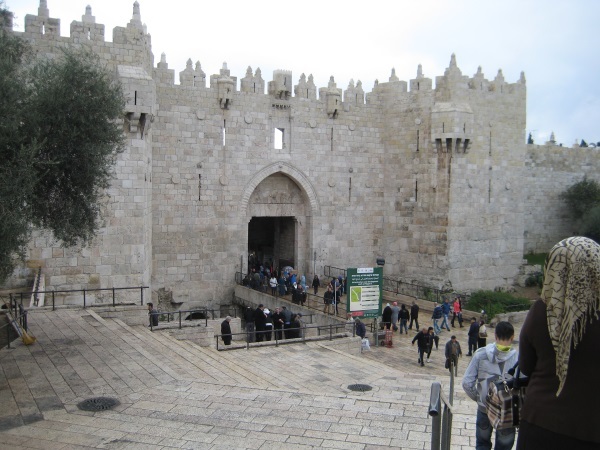 2400 years old, its been attacked 52 times and besieged 23. Oh and 3 of the worlds main religions are centred around here. The whole thing is 0.9 square kilometres. 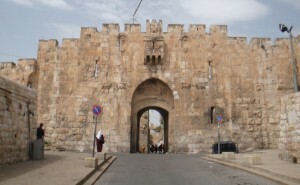 There are 8 gates into Jerusalem. I enter through the Lion gate, same one used by Israeli paratroopers (55th brigade) when they retook the city during the 6 day war. 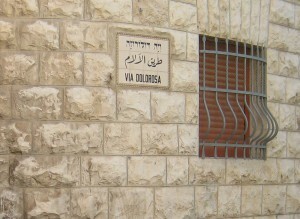 The Via Dolorosa starts here just near the Lion gate. Meaning the way of sorrows, it follows the route that Jesus took on his way to crucifixion. I’m not religious at all, but try to be open minded. In this case, there is no basis of any of this in historical fact. Worse, there is evidence that the route has changed on occaison because a new business opened and they wanted to attract greater footfall. 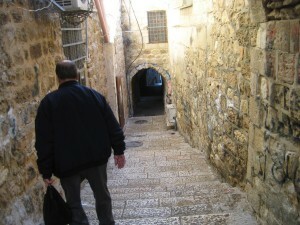 Down through the winding streets and corridors. There are 4 distinct quarters in the old town. Jewish, Muslim, Christian and Armenian. 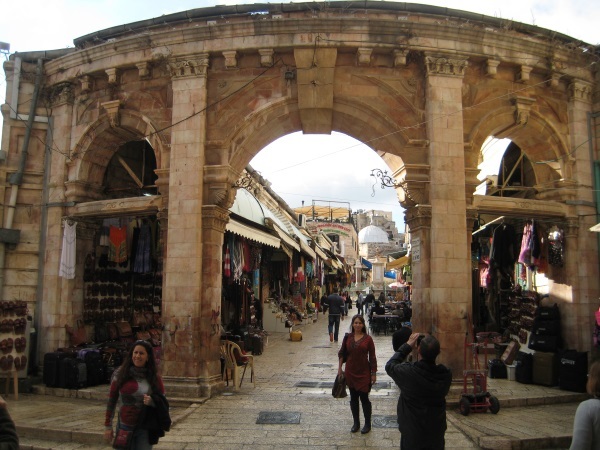 There was a Moroccan quarter, but it was destroyed to create a plaza near the Western wall after the 6 day war. 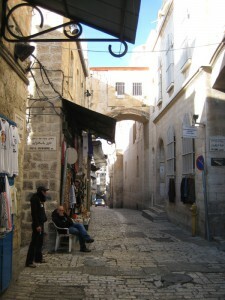 The “modernised” Cardo street with shops on either side. It was here I saw a soldier and a police officer teamed up. I found out that they typicaly work in pairs, the police officer will have a truncheon and the solder a rifle. That surprised me as there are places all over the world where police officers are armed, but not here. Entrance to Jerusalem market in the Christian quarter. They sell every kind of souvenir and piece of religious tat, but they also sell freshly baked bread as you can see from the picture above. 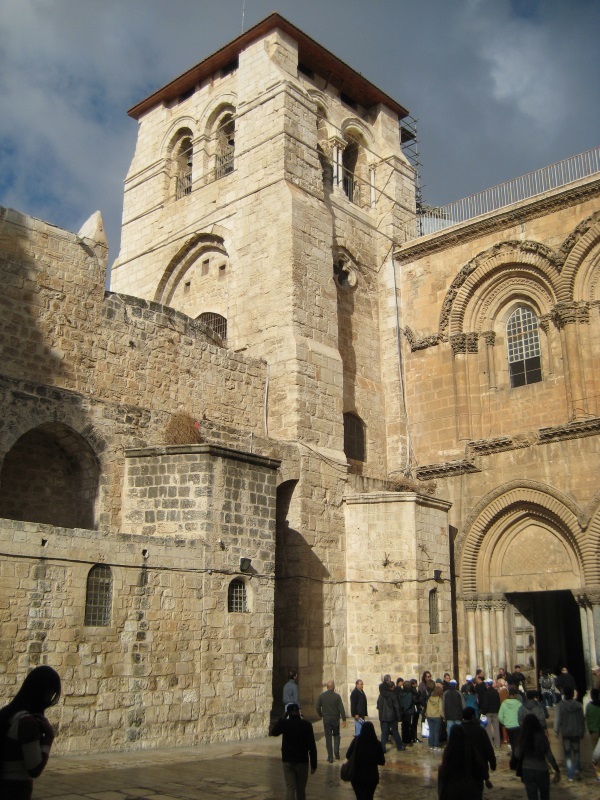 The Church of the Holy Sepulchre, a major Christian pilgrimage destination since the 4th century. 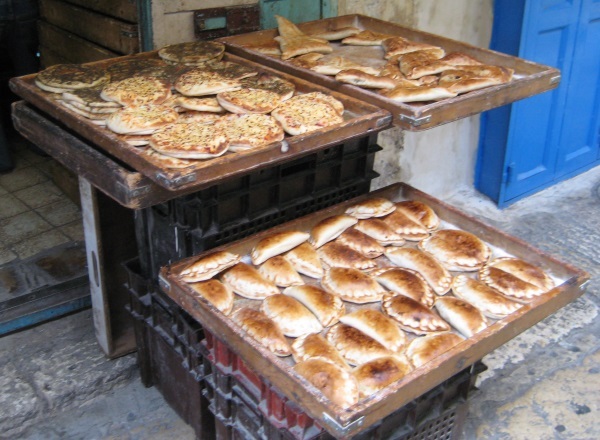 As a place of worship, its shared between Greek Orthodox, Armenian Orthodox, Roman Catholics and to a lesser degree Egyptian Copts, Syriacs and Ethiopians. To avoid arguments, one Muslim family hold the keys to the building, open it in the morning and close it in the evening. 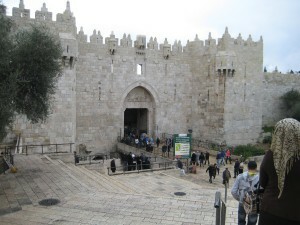 It’s considered to contain the 2 holies sights in Christendom. 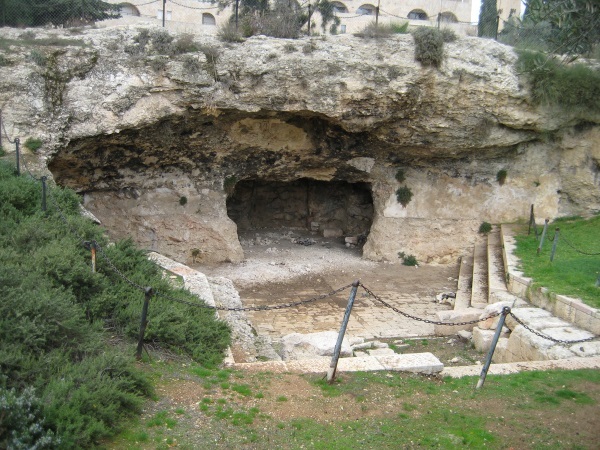 Calvary where Christ was crucified and Jesus empty tomb where he was buried and resurrected. 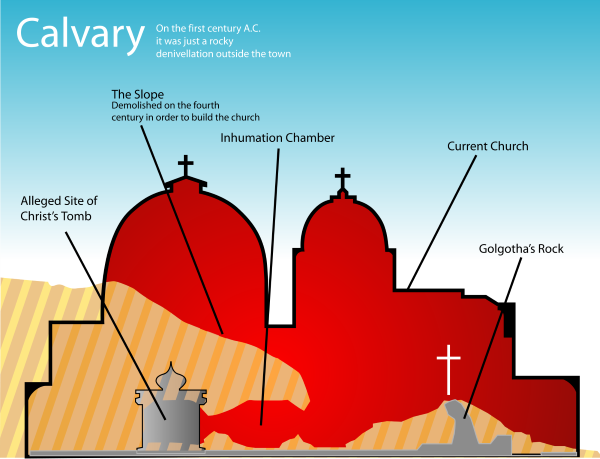 Originally a sort of rock mound and cave, the picture above shows how its been built into a church. In fighting between the various Christian denominations lead to the Status Quo established in 1853 by the Sultans firman (decree). The reality is it’s caused mayhem with the upkeep and repair of the building. Epitomised by the “Immovable ladder” left over briefly from a painting task, 1853 remains in the exact same spot to this day !. 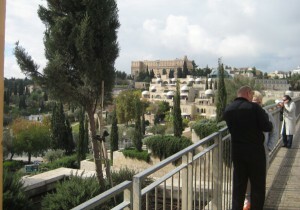 Above a picture of the Western wall, with the Dome on the rock in the background. The rock that the dome sits on is considered significant to all 3 religions as the site where Abraham was asked to sacrifice his son. The difference is which son. Christian’s and Jew’s believe the son concerned was Isaac, Muslims believe another son, Ishmael. Which explains where the West Wing episode Isaac & Ishmael gets its name. 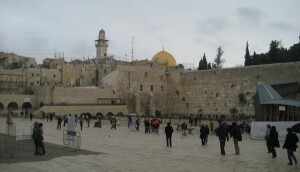 The Dome on the rock is located at the visual centre of the platform known as Temple mount. 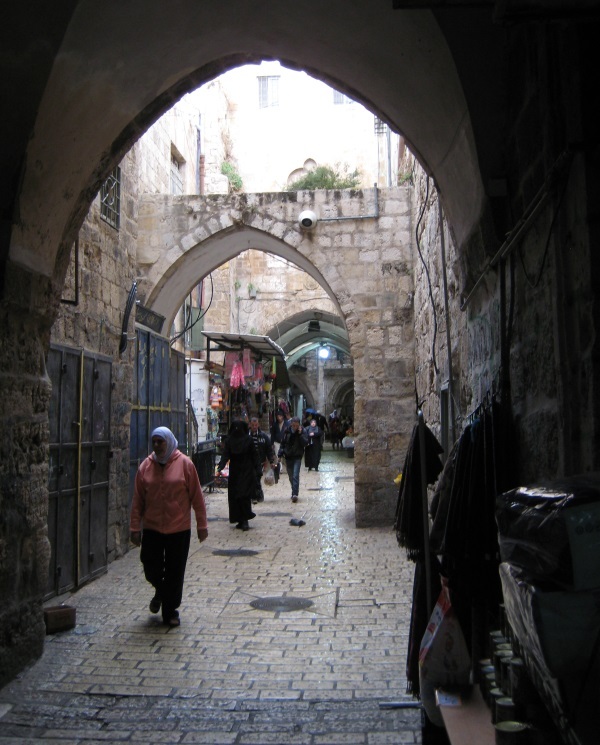 In the Muslim faith, the place of the night journey of the Prophet Muhammad. The Western wall, is literally the western wall of the 2nd Temple and the holiest site in the Jewish religion. When I was younger I’d heard it referred to as the wailing wall, although this is now considered derogatory. I had to walk through a metal detector to see the wall, but the people around were good humoured. I’ve heard that transgender people have been refused entry when theyve been turned away from both the male entrance and the female one. 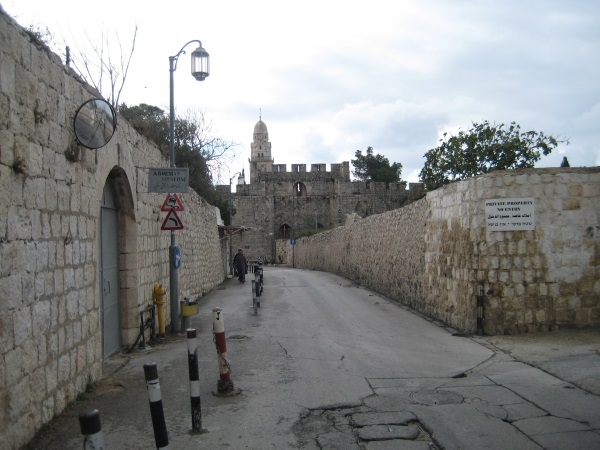 In 1948 the Arab Israeli war saw Jerusalem split, with Israeli holding west Jerusalem and Jordan holding the old town. 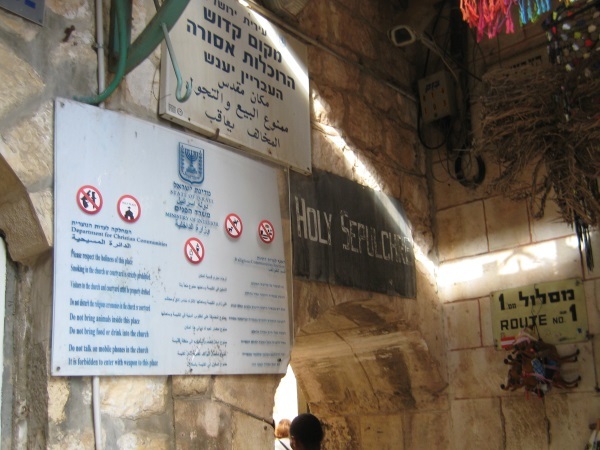 The Jordanians closed access to the western wall and Jews were unable to pray there. 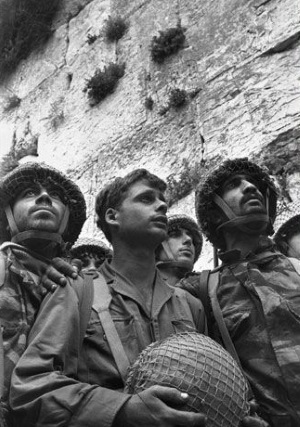 In 1967 and the 6 day war, Israeli paratroopers sustained massive casualties as they retook Jerusalem. The iconic photo above shows Three Israeli commando’s as they arrived at the wall. 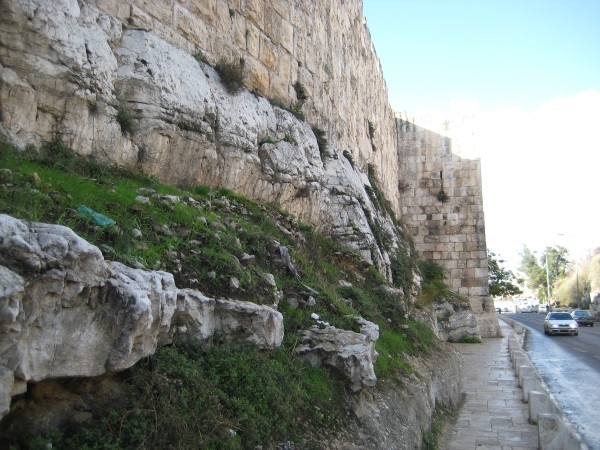 Its said that many of them wept openly at the sight of the wall (they had access to the wall for the first time in 20 years, but potentially full control of temple mount, which had been forbidden to them for over 2000 years). On reaching the wall, their commander, Moshe Dayan said “We have returned to all that is holy in our land. We have returned never to be parted from it again”. 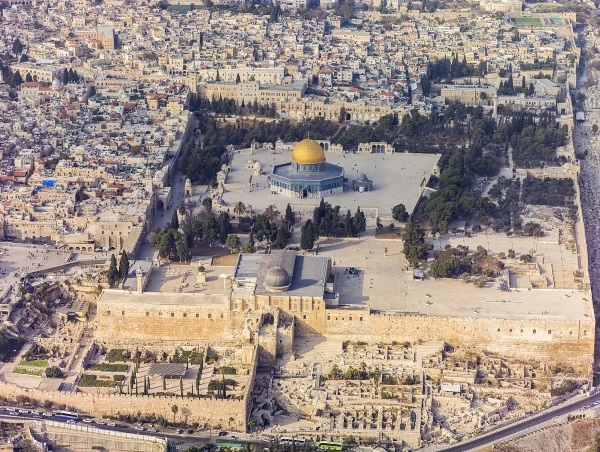 But surprisingly to me, immediately afterwards, Israel would control Jerusalem but within that, signed over control of Muslim & Christian religious sites to the relevant parties. In another statement he said “To our Arab neighbours we extend, especially at this hour, the hand of peace. To members of the other religions, Christians and Muslims, I hereby promise faithfully that their full freedom and all their religious rights will be preserved. We did not come to Jerusalem to conquer the Holy Places of others”. I’d seen all the things I wanted to at this point, so I was just wandering around exploring. 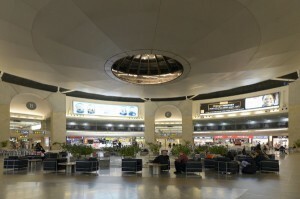 It was here that I was accosted by an Arab, who asked me where I was from. I said I was from the UK. He said angrily, your people have strong minds but week stomach’s. You stand by and do nothing when there’s so much you could do to help. I wanted to say, the same democracy that gives Hezbolla control of the West bank, give me one vote in a country of 60 million. I wanted to say, one million British people took to the streets to protest the war with Iraq and we went anyway. But realising where I was and how quickly things can escalate, I just replied that I’m sorry you feel that way and was quickly on my way. 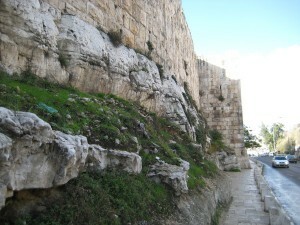 Along the top of the wall, you I could see Western Jerusalem and an area called Yemin Moshe. I leave through the Jaffa gate and try to unwind. I’m reminded of a funny story I’d heard. 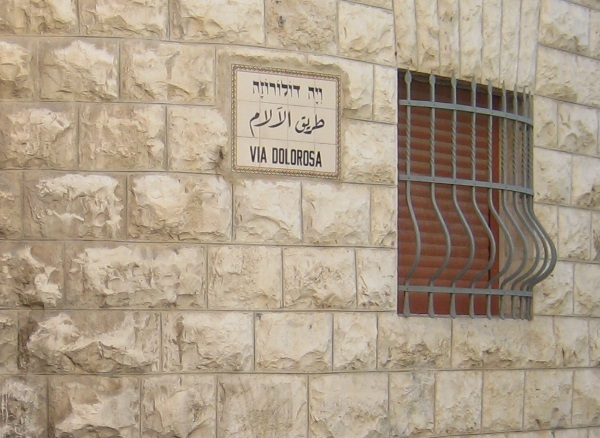 After retiring, Moshe Dayan took up the hobby of collecting antiques. He toured around Isreal building up his collection, made up of simple things that always cost less than 100 dollars and always paid by check. He was fairly wealthy, and probably didn’t check his bank balance often. 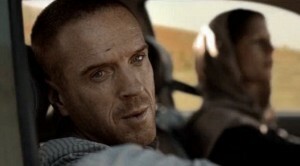 When he did, he found there was more money in his account than expected. Moshe Dayan was revered by his people and his military work required reading in most officer academy’s around the world. It was worth more to the antique dealers to have a cheque signed by Moshe Dayan hanging in a frame on the wall of the shop, than the actual money it was worth. 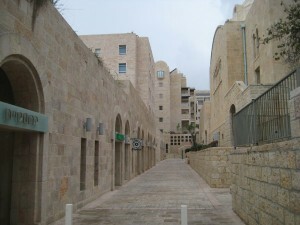 I found Western Jerusalem modern and spotlessly clean (and a bit dull to be honest). The internationally famous King David hotel, built in 1929 with 237 rooms and 4 restaurants and bars. The British government had offices there which were bombed in 1947 by Irgun (Zionist paramilitary organisation) and 91 people died. Today it is used mostly by visiting dignitaries (I certainly couldn’t afford to stay there !). After a whole day in a walled city, I yearned for open spaces. I found this 17 acre park called the Bloomfield garden. It contains the Herod’s family tomb (which looks like a cave, but actually isn’t). I walked back to my hotel to relax. 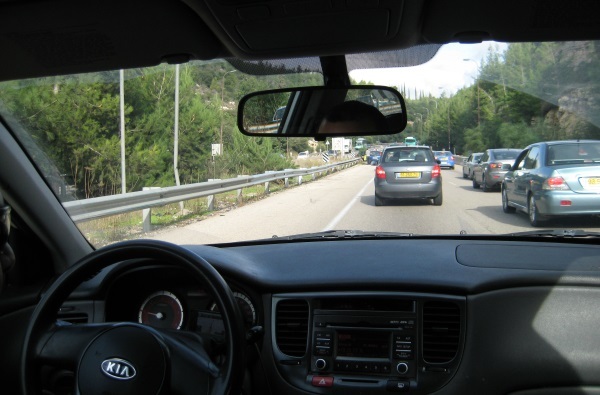 I’d decided early on, that I wouldn’t be going out on the town during the evening and I’d stay close to home (not just for safety reasons, but I was there on my own, without my friends, so there wasn’t really anyone to talk to). And that’s when it hit me.I’d seen and done everything I wanted to. I’d completely miscalculated how long I’d need to spend here, and now I had 2 whole days with nothing to do. Deciding to read and catch up on some tv I’d loaded onto my laptop. A bit concerned about homeland (a tv series with a “search for terorists” theme), so I watched it with headphones on. I worried staff outside might overhear someone in the show saying “is the bomb ready” and in a place like this, they’d innocently contact the security services and a whole host of problems would begin with a flash-bang being thrown into my room !. They served simple food in the hotel and had a fridge with Carlsburg. Overall, a pretty relaxing 2 days/evenings. Finally time to fly home, I say goodbye to the hotel staff, give them a tip and they get me a taxi to the airport (which is half the price I paid to get out here !). Flying out from terminal 3 David Ben Gurion airport, the most secure airport terminal in the world (they use metal detectors and x-ray machines, but they’re famous for careful hand searching of every bag). My security interview on leaving is extensive. 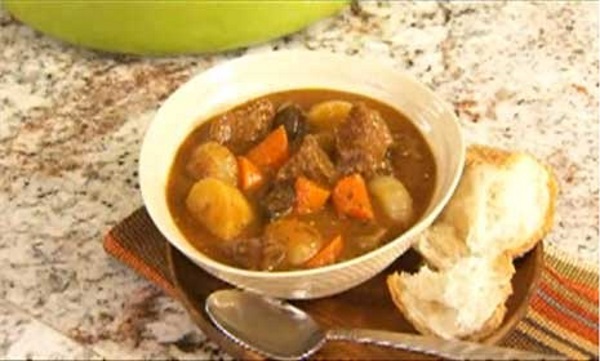 I can see from your passport that you’ve visited Morocco. Do you have friends there ?. You spent time in Malaysia, what was your reason for visiting ? I answered all the questions politely and honestly, just like I would in any airport including 1 in Britain. Not long afterwards, I’m flying home. In summary. I felt safe the whole time I was there, but to be honest, I felt uncomfortable most of the time too.